Karam Abusaab is an entrepreneur who started his career in New York City before relocating to the Middle East, and is currently based out of Dubai, UAE. He has earned a master’s degree in Government and Politics with a certificate in International Law and Diplomacy from St. John’s University. Today he works in the event industry as one of the co-founders of Proximo Events Management Company and is the franchise owner of TapSnap UAE. 1. What drew you to TapSnap? What drew me to TapSnap is that it’s a perfect event solution for people wanting to capture great photos and to share them on social media. At every event, I watch people have a great time customizing their photos on the TapSnap kiosk. It really is a great icebreaker and fun activity. For me personally, I saw it as a great marketing tool for any type of brand or company. It allows you to combine digital marketing with classic on ground marketing through real user generated content to reach countless people on social networking sites. 2. Why did you pick franchising versus other business opportunities? I have always believed in the franchise business model as being successful as long as it’s based on a strong product or service. I specifically believe this to be the case when it comes to TapSnap because technology is changing daily and it puts me at ease knowing that my franchisor will continue to update our product to be cutting edge and a strong competitor in the market. 3. What were you doing before becoming a franchise owner with TapSnap? 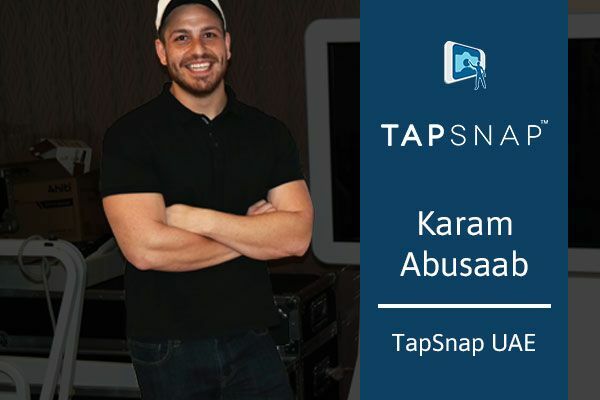 Before becoming a TapSnap franchisee I was working in other U.S. franchises in the Middle East, primarily in food and beverage, and retail. 4. What are some tactics you’ve used to grow your business? Traditional and social media marketing are both great tools to help grow and nurture your business. They definitely bring in sales leads, but I truly believe networking is by far the best way to grow. I mention TapSnap on a daily basis to almost everyone I meet. I even bought a phone with a bigger screen specifically for those who don’t understand what TapSnap is all about. I can just whip out my phone and show them videos and photos of our product. Human interaction is much more personal. No one can describe your business better than yourself— plus, you never know who you’re going to meet! 5. What lessons have you learned along the way? Is there anything you would do differently? I would say the most important lesson I learned is how important preparation is for events. If everything is finished in advance, you have the time to test everything and have spare time to fix problems or last minute changes. I personally feel a higher level of confidence when I know I’m totally prepared for an event or an important meeting. 6. What is your favorite part about being a TapSnap franchisee? My favorite part of being a TapSnap franchisee is getting to learn a little bit about all the different industries we work with. All of our events have mainly been exhibitions and corporate events, so leading up to it, we find ourselves emerged in the event and the client. We learn as much as we can about our client and the event because our success is based on their success. 7. You’ve been a part of some big events. Do any stand out for you? Why? Three events that stand out to me would be Comic Con 2015, The Expo 2020 Logo Launch, and Nike’s brand activation at the FIBA 3x3 Street Ball World Championship. 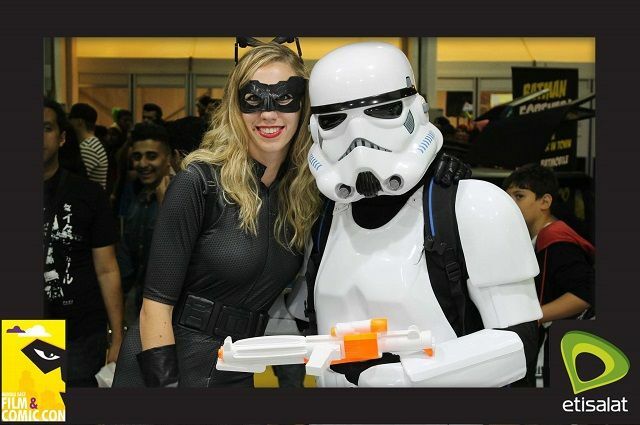 Comic Con was our first ever event. It had the attendance of 40 thousand people and it was a super fun event. Getting to see people of all ages using and having a blast with the TapSnap kiosk was the highlight! The Expo 2020 Logo Launch was special for me because the event location was right outside the iconic Burj Khalifa and because the Expo is of such importance in the UAE. 8. What advice would you give someone considering this business? What type of person do you think makes a great franchise owner? I think this business needs two types of people, because there are two sides of the work that a franchise owner needs to do. The first being the actual business of creating contacts, signing events, and running the everyday operations a business calls for. The second would be someone to actually deliver on the events and follow up with clients to make sure everything promised is delivered, this needs someone with patience and is good under pressure. My advice would be to put together a strong team and have confidence in your product and your franchisor because they will support you. 9. What’s next for your franchise? Where do you see yourself in the next 5 years? We would like to continue to work to ensure that TapSnap is a staple at every type of event in the UAE, and to also promote the permanent installations. I am hoping in 5 years we are able to expand to other major cities and countries in the region. 10. Lastly, why do you think people love TapSnap? Why is it so successful? I believe people truly love TapSnap because it’s interactive, fun, and caters to all ages. Everyone loves taking photos and being social. I watch people at events approach it with a straight face; by the time they’re done, they have a huge smile on and end up wanting to take more photos! Ready to learn more about our franchise business model? Fill out our contact form, and we’ll get in touch with you!